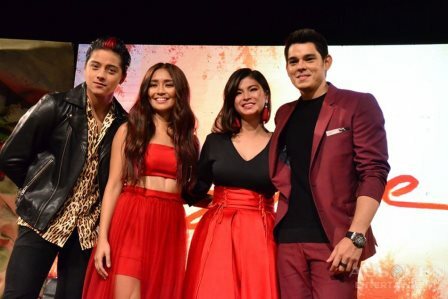 Two loveteams spread love and good vibes in the hit ABS-CBN fantaserye "La Luna Sangre." 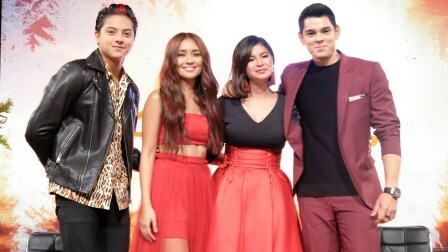 These are the tandem of Kathryn Bernardo and Daniel Padilla or KathNiel and the reunion of the love birds Richard Gutierrez and Angel Locsin or ChardGel. But the question goes, who between the two pairs is the hottest and paint more kilig Primetime?! Therefore, we created this poll survey to end up the war of fans for these two love teams and see who really between the two is very much love by the viewers. In the series, Angel Locsin returned as the mysterious political strategist Jacintha wherein the Vampire King Sandrino played by Richard Gutierrez eventually falling in love with her. On the other hand, Kathryn Bernardo who is playing as the bagong itinakda Malia/Toni is building a tandem with Tristan (Daniel Padilla) to defeat the Supremo. But as they enforcing themselves, a romance between the two is also on the rise. Vote now and let us feel the beat of your heart for your favorite "La Luna Sangre" loveteam!